Lace Sleeve Shift Dress is rated 4.3 out of 5 by 14. 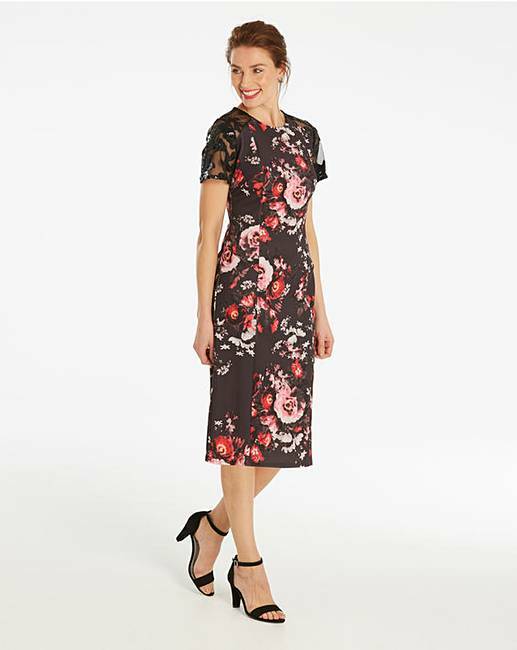 This delightful lace shift dress is a must-have in every woman's wardrobe. 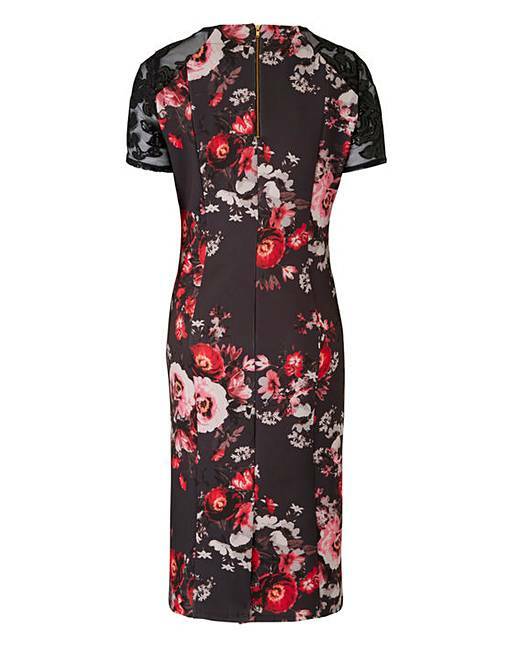 Boasting a figure-hugging bodycon fit, this dress clings to your curves to accentuate your best bits, meanwhile the floral print adds a trendy twist. For maximum impact, style with metallic heels and accessories to create a statement evening look. 94% Polyester, 6% Elastane. Sleeves 100% Polyester. Rated 5 out of 5 by Angie 11 from Lovely fitting So happy with my purchase, JD Williams never let's me down. Rated 4 out of 5 by Rita from Lovely smart dress, Lacy sequinned sleev I bought this for the first time I shopped with JDW. 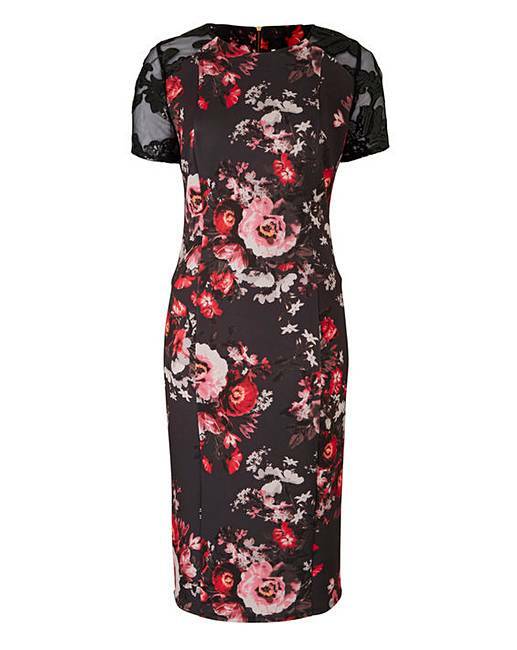 The dress is true to size - but below knee length if you are short. I was very pleased with it and loved the black lacy sequinned sleeves. This adds a bit of glitz to the dress. A good sale purchase. Rated 5 out of 5 by Ermac from Beautiful thick material Bought last week for a function and it was just perfect including the length. love it. Rated 4 out of 5 by Jules from Great value One of a selection I ordered for a wedding. Lovely dress but the lace sleeves are black with sequins and are very uncomfortable. Also a bit odd to have black sleeves when the dress is red and grey. Rated 5 out of 5 by Pattos from Good fit Bought for special day out. Lots of compliments about it. Rated 3 out of 5 by Hel13 from Lovely Dress But ...... Buy a size bigger than usual. What the picture doesn’t show is heavily sequinned sleeves. Unfortunately I had to end it back.